they felt loved and appreciated. delivered to army bases, and others given to soldiers on patrol and guarding throughout the country. they are supported and cared for. enjoyed a wonderful adoption ceremony and had a great time handing out Mishlochei Manot. 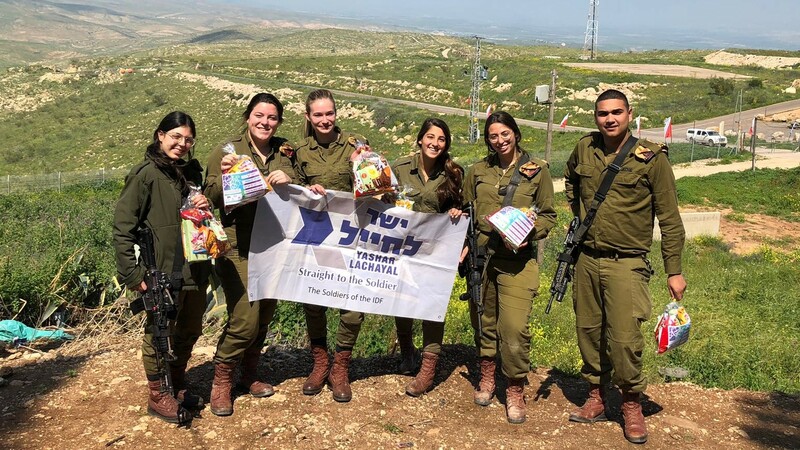 LaChayal was able to wish the new recruits the best of luck in their army service. Yashar LaChayal also stopped by Giv’at Asaf, where this past December a terrorist killed St.-Sgt.